Realm of Horror - News and Blog: THE CHANGELING - Ltd Edition UK BD coming August from Second Sight. 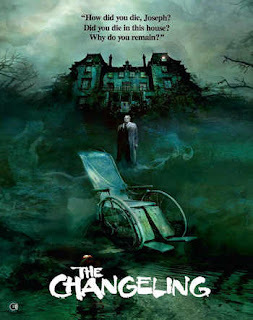 THE CHANGELING - Ltd Edition UK BD coming August from Second Sight. One of the last classic horror films to finally be released in high-definition, Peter Medak’s (The Krays) The Changeling arrives as a limited edition collector’s set including stunning packaging, a poster, a 40-page perfect bound booklet and a slew of newly created special features such as a commentaries, interviews and featurettes.